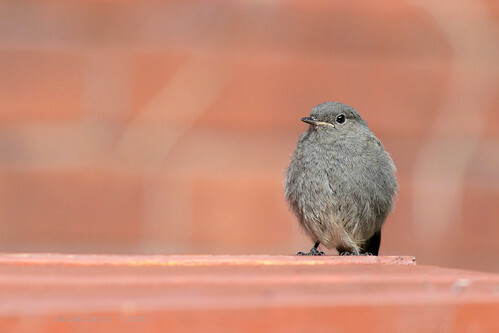 9P1A7262a Black Redstart (Phoenicurus ochruros) (Juvenile) Manchester. This is a full frame image. The composition was designed to enable educational text to be written in the empty space. The image is best viewed at 3000 pixels so that the detail on the bird can be enjoyed.